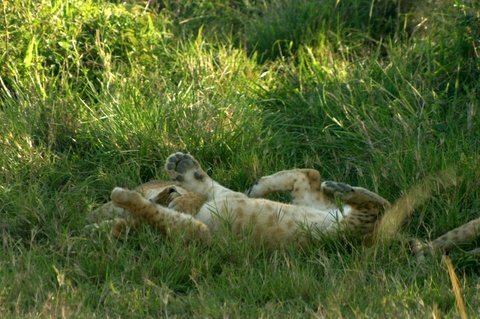 Take home many memorable moments from our spectacular Kenya Safari on offer from Africa Bound. 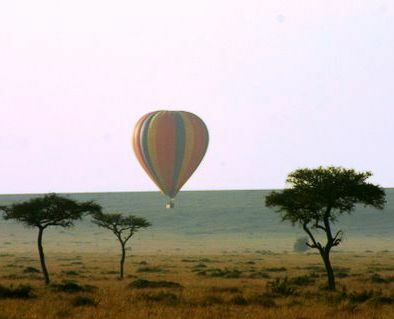 Kenya’s sights such as Aberdare Mountains and Mount Kenya National Park are some of the greatest Africa has to offer. Located on the equator and containing Kenya’s highest mountain is Mount Kenya National Park with the Aberdare National Park in close proximity offering the third largest mountain range in Kenya. Both these National Parks contain unique mountain forests which are home to a vast variety of animals within their surrounds. An overnight at either Serena Mountain Lodge or the Ark is a worthwhile stopover as part of a Kenyan Safari. This provides a unique opportunity to view wildlife at floodlit waterholes from the comfort of viewing decks. 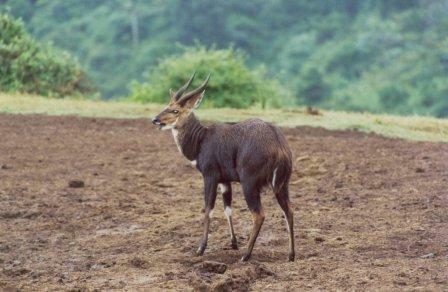 There is a good chance of sighting animals such as the Black Rhino, Bushbuck and the endangered Bongo Antelope which are normally shy creatures. Other frequent visitors to these waterholes include Elephant, Buffalo and Giant Forest Hogs. Towered over by the magnificent bulk of 5,896 m high Mount Kilimanjaro, Africa’s highest mountain, Amboseli is one of Kenya’s oldest and most-visited parks by safari tourists. Comparatively compact and dotted with emerald green swamps in which great herds of elephants can often be seen half-submerged amongst the papyrus grasses, its panoramic vistas and stunning backdrop have made it a venue revered by Hollywood professionals and amateur photographers alike. Amboseli is world-famous for its populations of large mammals. 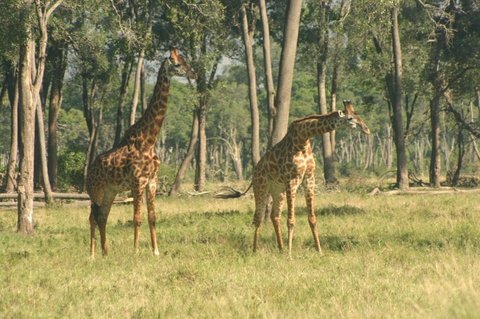 The swamps are a centre of activity for elephants, hippos, buffalos and abundant water birds. 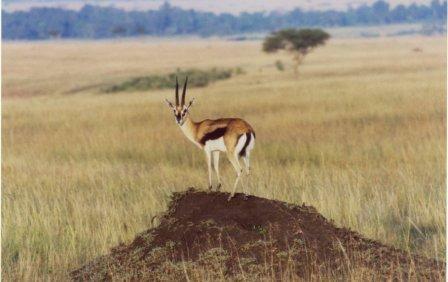 The surrounding flat grasslands are home to grazing antelopes. 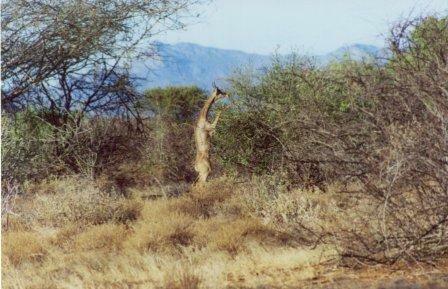 Spotted hyenas are plentiful, as are jackals, warthogs, olive baboons and vervet monkeys. 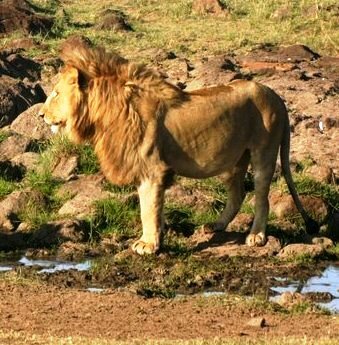 No longer present in their original numbers, lions can still be found in Amboseli. Bird life is abundant, especially in the vicinity of the lakes and swamps. 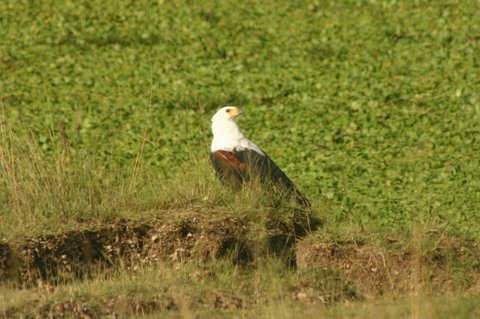 Over 425 bird species have been recorded here, including over 40 species of birds of prey, amongst which are two great rarities, the Taita falcon and the southern banded harrier eagle. One of the high points of the park, Observation Hill towers above a small car park and its summit is accessed by a winding stone stairway. Once at the top the views are tremendous, the photo opportunities countless and, as the sun begins its descent, it provides one of East Africa’s finest sundowner venues. 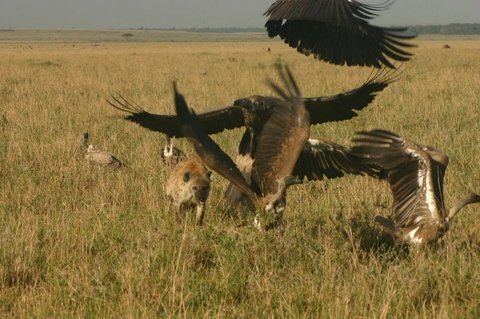 Lake Nakuru is a shallow strongly alkaline lake 62 km2 in extent and is set in a picturesque landscape of marsh grasslands alternating with rocky cliffs and stretches of acacia woodland and rocky hillsides covered with a Euphorbia forest next to Nakuru town. 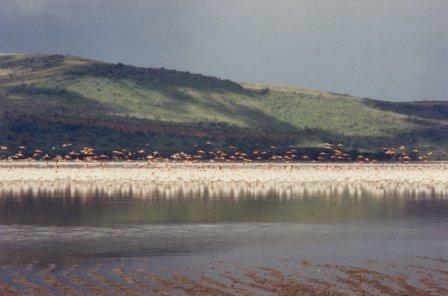 Lake Nakuru was gazetted as a bird sanctuary in 1960 and upgraded to National Park status in 1968. A northern extension was added to the park in 1974 and the lake was designated as a Ramsar site in 1990. The foundation of the parks food chains is the cyanophyte spirulina platensis. The major attractions are the Flamingo (Greater and Lesser) and other water birds numbering about 450 species in total. There are 56 different mammal species including white rhinos. The unique vegetation includes 550 different plant species including the biggest euphorbia forest in Africa. The Masai Mara is one of the best and most popular reserves in the whole of Africa….because of its ‘big skies’, open savannahs, the romance of films like ‘Out of Africa’ and certainly because of the annual wildebeest migration, the density of game, the variety of birdlife and the chance of a hot air balloon ride. 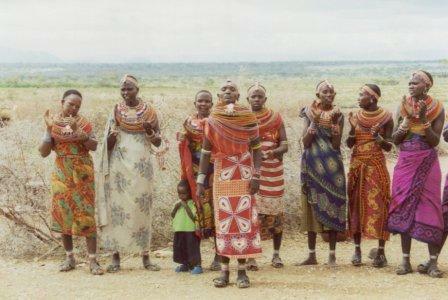 The tall red-robed Masai people’s lifestyle is completely at odds with western practices and one learns to question certain western values. 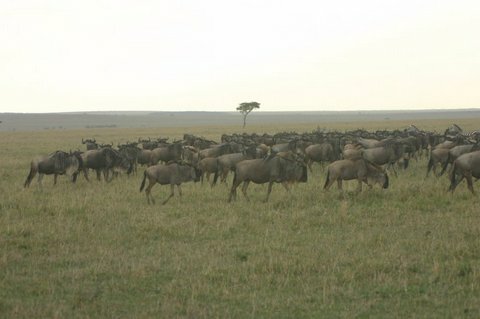 The Masai Mara lies in the Great Rift Valley, which is a fault line some 3,500 miles (5,600km) long, from Ethiopia’s Red Sea through Kenya, Tanzania, Malawi and into Mozambique. The animals are at liberty to move outside the park into huge areas known as ‘dispersal areas’. There can be as much wildlife roaming outside the park as inside. 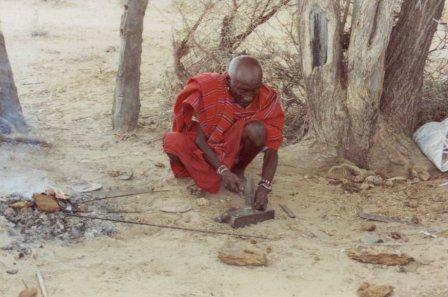 Many Masai villages are located in the ‘dispersal areas’ and they have, over centuries, developed a synergetic relationship with the wildlife. The Ol Pejeta Conservancy – a 90 000 – acre private wildlife conservancy – is situated on the equator, in Kenya’s Laikipia District, between the foot hills of the Aberdare Mountains and the magnificent snow capped Mt Kenya. 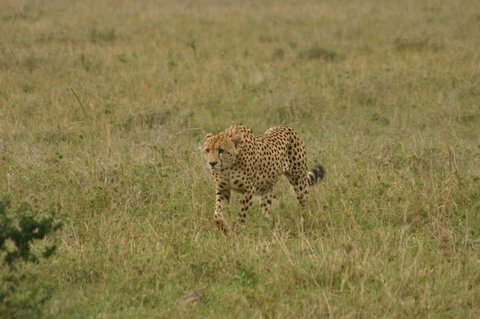 The Ol Pejeta Conservancy boasts an astounding variety of animals including the “the Big Five” ….. the endangered black and white rhino, leopard, elephant, buffalo and lion. 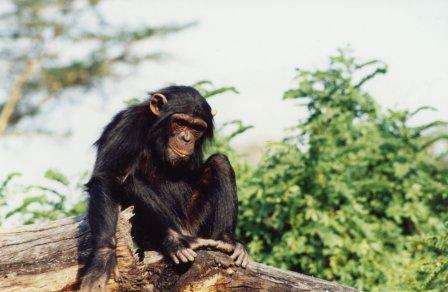 The conservancy is also home to a chimpanzee sanctuary operated by the Jane Goodall Institute. Two camps located on the conservancy are Sweetwaters Tented Camp and Kicheche Laikipia Camp. 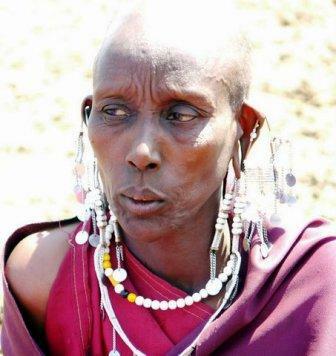 Samburu National Reserve lies 325 km north of Nairobi in the hot and arid fringes of the vast northern region of Kenya within the lands of the colourful Samburu people, close relatives of the Maasai. 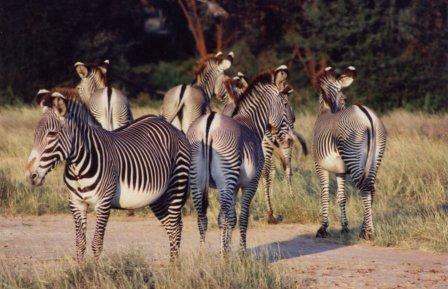 Wildlife species rarely found elsewhere include grevy’s zebra, the reticulated giraffe, beisa oryx and the long-necked gerenuk. The Uaso Nyiro River is broad and sluggish with a large population of crocodile seen on sandbanks at almost every bend. 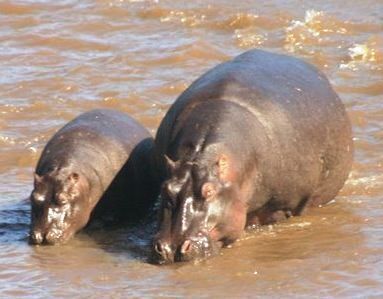 In the lower reaches, where permanent pools have formed as a tributary hippo pools can be found. The river is fringed with giant acacias, figs and doum palms all of which provide shade and sustenance to the wildlife which comes down to the water daily. Mid range typical African standard lodge accommodation situated either in National Parks, on the banks of a river or in other places of interest. Mix of lodges / chalets / tented camps. Most of them have a private bathroom with a shower and toilet, others have shared ablutions available. can be designed to fly you by light aircraft to various areas in the Okavango Delta or simply spend a few nights in one preferred area…you can then continue by light aircraft on to Chobe National Park to continue a safari circuit….this not only transports you quickly and easily between camps and destinations, but you experience an aerial view of the Okavango Delta with its numerous systems of channels and waterways that make up this natural wonder.